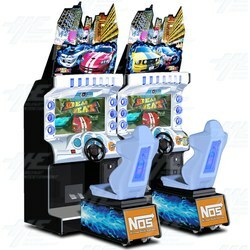 Dead Heat is the exhilarating, high definition, head-to-head car racing game from Namco. The game involves eight racers, and links up to four real-time players. It's not just the neck-and-neck style of this game that sets it apart, but the unique use of the player profiles and the in-game player identification gives it an edge as well. Race locations are geographically accurate to the real locations.